If you pass through a large courtyard gate at the right moment on the outskirts of downtown Tiblisi, you end up in front of a pink colored miracle: The Michael School – a curative educational Waldorf School. It is precisely this miracle of srchitecture that can also be a problem. When someone comes from the state supervisory authority in Georgia and the financial problems of the school are addressed, the initiative team repeatedly encounters a problematic misunderstanding: over the years, the impression has been created that the school isfinanced entirely from German funds and even the students are attending for free. The fact is, however, that the only reliable permanent financial support from abroad – a regular grant to supplement the very low salaries of teachers – is coming from the Freunde der Erziehungskunst Rudolf Steiners. And this one, too, has to be reapplied for annually. Teachers’ basic salaries fluctuate from month to month as public reimbursement of school fees for children depends on attendance. For every day a child isn’t around, the school lacks money. If there is a cold spell and the heating is down, children are sick, etc., the electricity, the water, the housekeeping, the teachers still have to be present and paid for. Therefore, each teacher has at least one second job or someone who has a good income nearby. The building is also in need of renovation: It has been raining through the roof of the eurythmy hall for a long time. A lift for wheelchair users would also be a need. Just as the building as a whole needs a renovation, it is also the case that the salaries of the Ttachers are not stable. To make matters worse, the government has currently changed and it is not yet clear whether education policy is improving for a school as special as the Michael School. Although the school is granted nonprofit status, it has to pay taxes like a business enterprise – these are the Georgian political contradictions, no matter under which government. Thus the school wanted to run a small sale of its own bakery goods. That failed because the tax on the baked goods is so high that no profit remains for the organization. 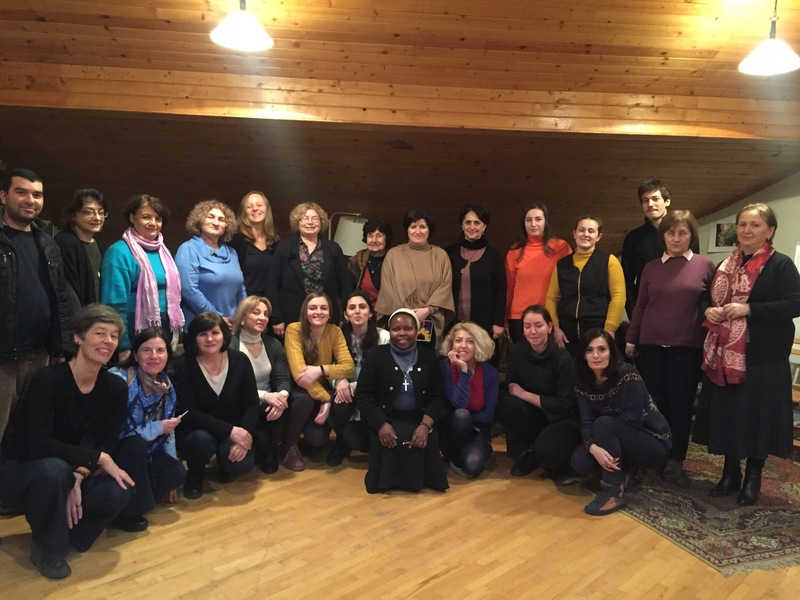 While the therapy and educational support sector and also the curative education training can be financed in a somewhat stable way, the situation for the school is extremely precarious. Please help ensure that the school does not need to be closed. 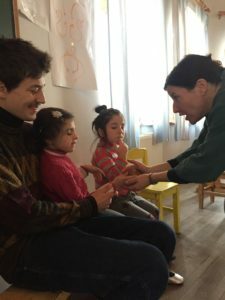 Send a donation to the Anthroposophic Council for Inclusive Social Development, with the designation “Michael School Tbilisi.” The Council will pass these directly to the school. If you leave all these difficulties behind and come to the seminar room in the afternoon after the regular school hours, there are about 20 attentive listeners sitting there and looking forward to the professional input. It is a group of teachers from the Michael School, professionals from other organizations, colleagues of a children’s home Run by Catholic nuns and the current group of volunteers from Germany, who are sent by the Freunde der Erziehungskunst. I offered work on the Topic of “Self-care with eurythmy exercises” over two days of workshops and we kept coming to the question: How should I take care of myself when existential threats flare up every month? What does it mean to look after myself when life shows such adversity? What can we do, what could I contribute, other than to keep bringing to life the strength of the inner impulse, the trust in the development process of the children and appreciation of a diverse society. And how can we tap into the anthroposophical foundations of our work as a source of strength and inspiration for this? Because strengthening diversity is a hot topic in the young Georgian society. And that is good!